Clean or dirty produce; is it really that simple? Should that be the sole consideration for eating organic produce? No, beyond the obvious that organics contain fewer pesticides than conventional, there is also the integrity of our food to consider. The Environmental Working Group (EWG) maintains lists of the twelve worst (the dirty dozen) and the 15 cleanest (clean 15). These are great lists, they help us navigate the produce world to know when should consider organic whenever possible and when we can make do with conventional. However, the lists don’t tell the whole story. Corn and peas, for example, are part of the clean 15, but they are amongst the list of the top ten genetically modified foods; do you really want to consume GMO’s? Remember too, that the lists of dirty and clean produce were compiled after the USDA washed the produce using the high-power pressure water systems most of us will never have in our kitchens. 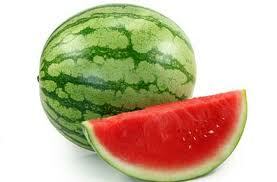 Watermelon; they are part of the clean 15, but are they safe? You can wash the rind, but what do they absorb? Consider farming practices in Eastern China; some of the farmers there used the growth hormone Forchlorfenuron to speed up growth and boost yield. However, they used too much of the hormone and the fruit began exploding. The visual for my stomach is not good. Forchlorfenuron is a legal hormone in China and in the US; here it is used on grapes and kiwi– Forchlorfenuron has been implicated in cancers and neurological disorders. Remember, just because the FDA says a certain amount of a particular chemical is safe, this isn’t always the case, and for children and those of us who consume copious amounts of produce, there is a cumulative effect. Further, if you remember from my post on Salvestrols, clearly organic is best. 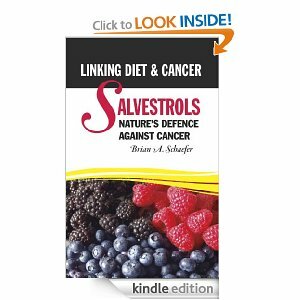 Salvestrols are plant derived compounds that produce anticancer agents. These agents cause cancer cells to commit suicide; I like that. Salvestrols are also part of the plant’s immune system. Plants are subject to attack by various pathogens, primarily fungi. These pathogens usually attack the skin of the fruit and or the roots of the plant. Salvestrols are produced by plants to protect themselves from pests and disease. However, the use of fungicides and crop protection chemicals means that plants which are not organically grown will not express high concentrations of Salvestrols because they are not exposed to the attacks which cause the plant to produce them. Plus, the Salvestrols will enter any fungi that they encounter in the human body and act as natural antifungal agents in the same way as they do in the plants from which they were obtained. In these situations, it appears that what is good for the plant is good for the gardener-or consumer. Lastly, Salvestrols are generally produced late in the ripening phase as this is when the plant is most vulnerable to attack, but produce is typically picked and shipped well before ripe. Purchasing locally produced organic produce or having your own garden are excellent ways of ensuring that the produce has had a chance to ripen on the vine and is not poisoned during growth…..and, that it has predators. So, the moral of the story is….buy organic or grow your own when you can, and if you can’t, try to avoid the worst offenders, avoid GMOs and never, ever trust the FDA; your health depends on it. When all else fails, consider supplementation; the purest you can find. I guess I should have titled this post the dirty truth about the clean 15….but I prefer to stay in the positive. To listen to Dr Michael Schachter speak on cancer prevention, treatment and Salvestrols, please click here and scroll down to December 4th, 2012. Elyn Jacobs is a breast cancer survivor, professional cancer coach, radio talk show host, speaker, and the Executive Director for the Emerald Heart Cancer Foundation. She is also on the peer review board of the Natural Standard Database. Elyn empowers women to choose the path for treatment that best fits their own individual needs. She mentors women who are coping with issues of well-being associated with breast cancer and its aftermath; she is passionate about helping others move forward into a life of health and wellbeing. Elyn has been featured on CNN Money, Talk About Health and more and has contributed to Breast Cancer Answers as well as written for the Pink Paper, Breast Cancer Wellness, Natural Healing-Natural Wellness, Integrative Oncology Essentials, and other publications. Elyn lives in New York with her husband and two young boys.